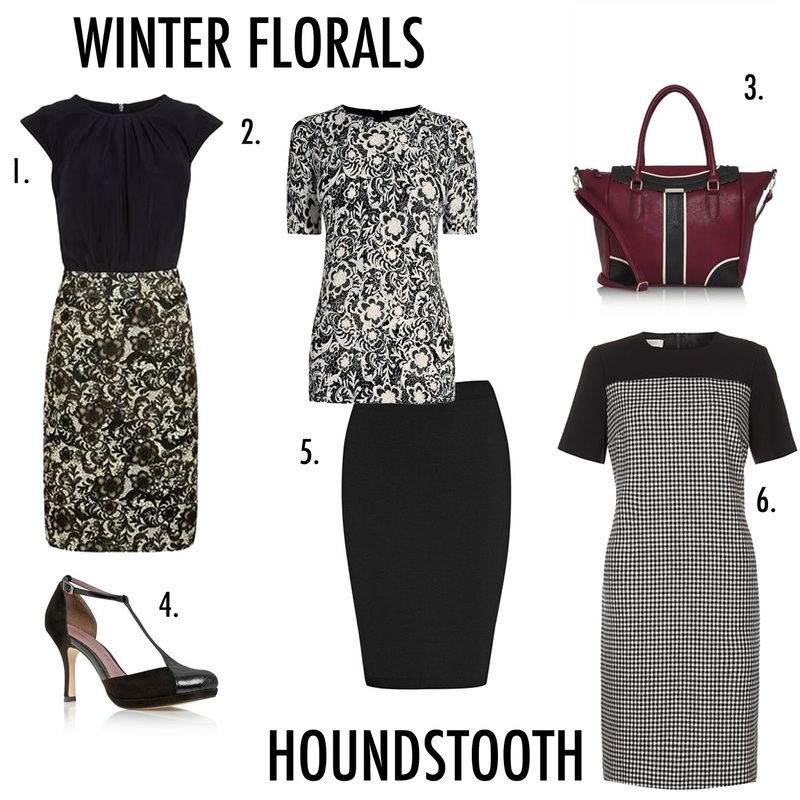 Following on from last night's workwear post, I have tonight focused on the remaining AW 2013 trends - animal print, military, winter floral and houndstooth. This season's business wear has been heavily influenced by trends seen on the catwalk as shown below - animal prints have been toned down so that it can be worn with modern tailoring and the floral print, seen throughout the summer, has received a dark makeover - gone are the bright, flirty colours and taking their place are dark tones such as blacks, blues and deep reds. My favourite trend is military - khaki has always been one of my favourite colours and I am excited to see it have a huge presence this season. 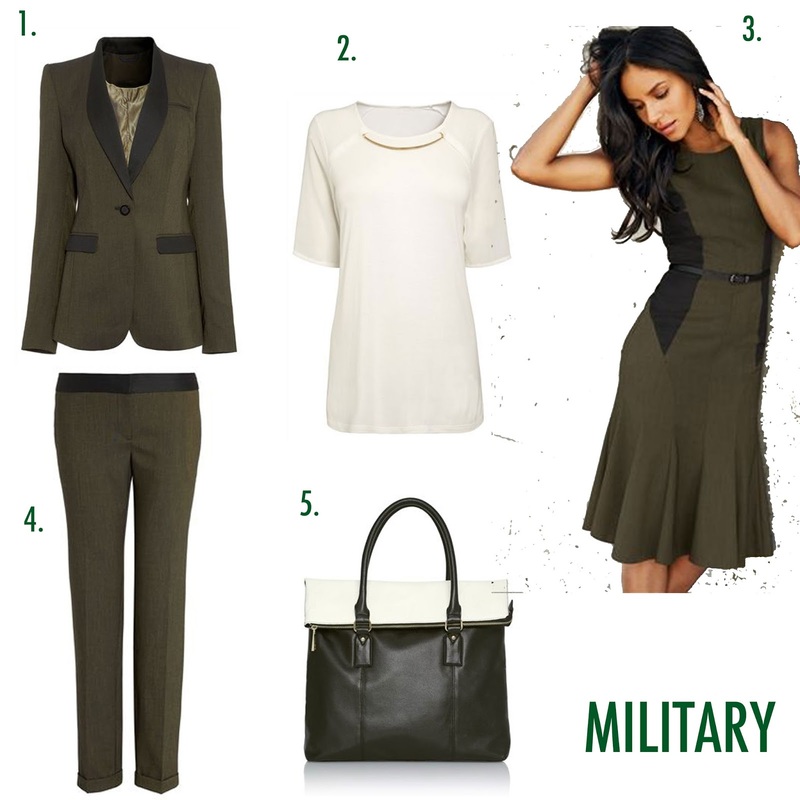 I may have already added the khaki dress to my working wardrobe - It was just too fab!